Hyrsam is using the Trusted tracking devices and Trusted Visibility Suite™ to control the usage of rented assets and equipment outside rented periods. 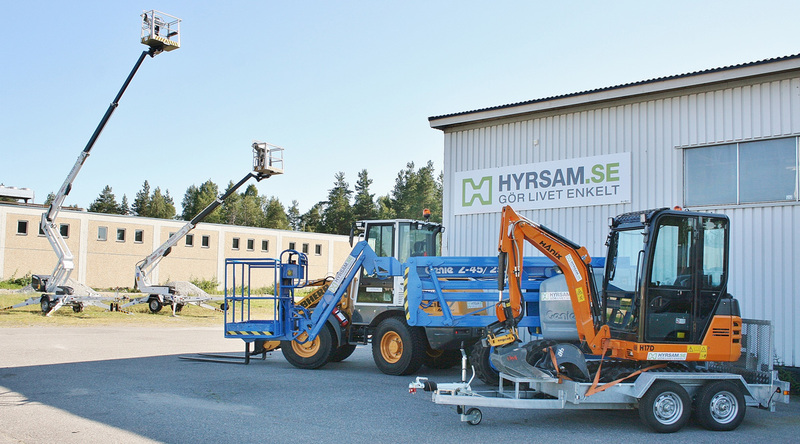 Hyrsam is a Swedish company that rents out machines and vehicles in Öjebyn Norrbotten. The company is aware of the risks and challenges of having their equipment and machinery rented out to different customers. Therefore, Hyrsam was looking for a solution that could help them improve the daily challenges. They searched for a solution to manage the operation hours of rented asset and ensure accurate billing using the utilization feature in the tracking device. They went to www.trustedglobal.com and found that Trusted’s T7+ was an excellent choice for them. Trusted tracking solution helped them to create visibility and gave them a full overview of the location and operation hours of their assets and machines. It opened new opportunities to generate new revenue. Besides the utilization feature, Trusted tracking devices were essential for Hyrsam because the tracking devices have no plugging for installation – and therefore were easy to install and move between equipment. Furthermore, the tracking device offered a long battery life. Today Hyrsam has implemented the Trusted T7+ tracking devices on all their different equipment like trailers, compressors, loaders, and mini machines. The deployment has optimized their business as it enables them to document factual data about usage and improve asset visibility and recovery for a smaller investment than traditional wired GPS solution. Do you want more info on our case stories or want to hear if a Trusted solution could help your rental business?